'Ello, 'ello, 'ello! What 'ave we here? 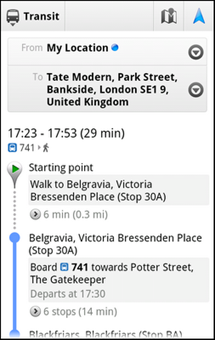 It looks like Google is finally embracing public transport in London, adding public transport directions to its Google Maps application on Android devices. From today, users can now get directions within London using both bus routes and the Underground, too. 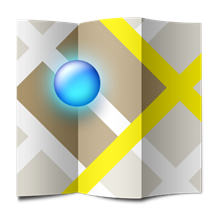 Using your current location to determine the best route to take to your destination, the application will provide you with a series of instructions that mix walking with various other transportation options.